Nomatic 30l Travel Bag Review (Must Read) Nomatic's Latest Backpack! Nomatic launched back in 2015 and has grown to a point where it is now a household name. Till now, it had launched over eight backpacks with every one of them turning into a massive HIT! In fact, I have personally used the Nomatic 40L Travel Bag and have had absolutely no issues with it! However now, they’ve launched yet another backpack — the Nomatic 30L Travel bag! 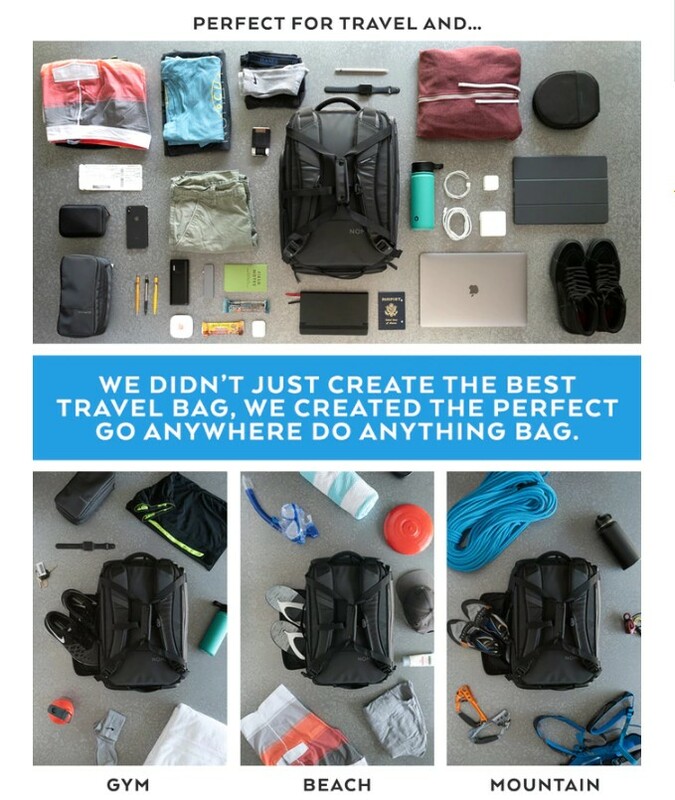 They’ve dubbed it as the “perfect go anywhere do anything bag” which means its perfect for travel, gym, gear, and typically anyone that lives life on the move. In this article, I review the new Nomatic 30L travel bag and further break down some of its most significant differences. Should you get the Nomatic’s 30L or 40L travel bag? Two years ago, Nomatic released the 40L travel bag. It was a HUGE success designed for 3-7 day trips. Now, with the introduction of the 30L travel bag, one question that is getting asked around a lot is — What’s the difference between Nomatic’s 30L Travel bag and the original 40L Travel Bag?! How short? Well, that depends entirely on how you pack. However, the recommended trip duration for the 30L bag is 1-3 day trips. This bag can also be used at the gym, in the mountain, the beach, and most everyday activities. Nomatic makes one of the most functional backpacks but is taking it up a notch with the 30L travel bag. They have added ventilation to the shoe pocket for extra functionality. Now, you can use this shoe pocket NOT just for shows but also damp clothing, carry shoes, or other items that need ventilation. The Nomatic 30L travel bag isn’t just for travelers! It’s for anyone that live life on the move every single day. 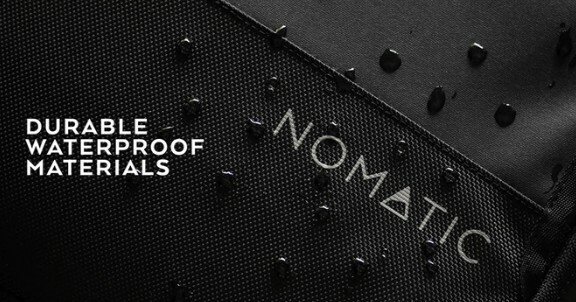 You see Nomatic wanted to create more than a typical travel bag and guess what? They succeeded! In fact, they absolutely SMASHED their product goal of USD$100,000 by a whopping 579.87%! However, this means it’s going to be more challenging to get your hands on this bag but trust me — it’s going to be worth the wait! To be honest, it depends! There are so many differences, that in the end it comes down to your personal preferences and needs. I have personally used the Nomatic backpack and even published a detailed review in this article. The Nomatic 30L bag is a more practical backpack for everyday and short travel use. The original 40L travel bag is a more travel-focused backpack suitable for 3-7 day trips. The Nomatic 30L travel bag is a multi-purpose backpack perfect for the typical gym rat, avid traveler or even an every-day commute — and basically anyone and everyone that lives life on the go! Trust me on this; there is NO other backpack that is more ‘multi-purpose’ than the Nomatic 30L travel bag. In fact, most of the features I will list below work together towards making this bag the most functional backpack ever! Nomatic is honestly the only backpack company that has nailed the innovative strap system. What I mean by this is you can just switch up the backpack into a duffel bag carry when convenient. The shoe compartment on the 30L travel bag has been completely upgraded from its predecessor. It’s bigger and can fit two pairs of shoes. Everyone hates airport commute and especially TSA checks! 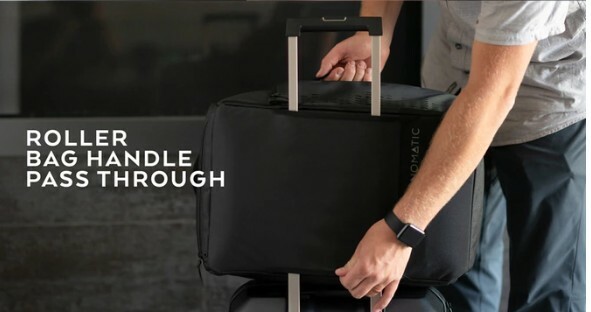 Fortunately, the Nomatic 30L travel bag features a TSA ready laptop & tablet sleeve to pack and unpack electronics. Everyday environments can change pretty fast. You need a backpack that can withstand this change — even if it rains! Fortunately, the Nomatic 30L travel bag is made of durable Waterproof that your contents are dry no matter how wet it gets. The extra ventilation helps keep things dry and fast. One thing I hate about packing all my electronics are the cords! No matter what xyz technique I try — they always end up getting tangled. 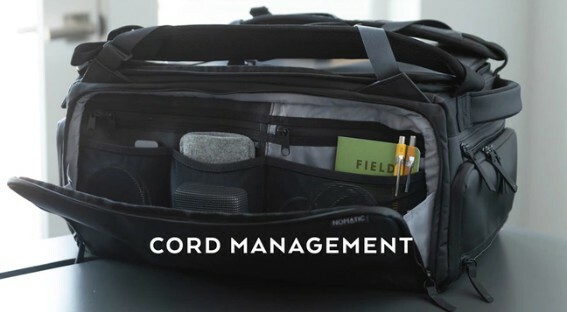 Nomatic realized this and designed an utterly tangle-free backpack with an excellent cord management system. 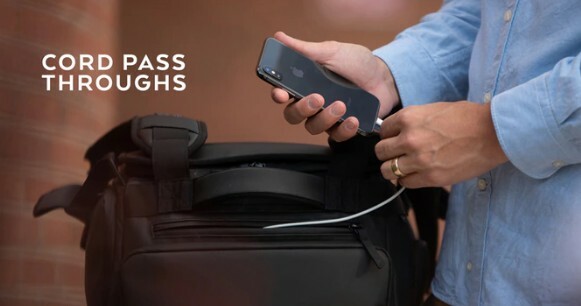 This bag even features cord pass-throughs that enable you to use your phone while charging it inside your backpack. Sweet right? I’ve been traveling for over two years, and one thing I noticed is theft is on the rise! Today, thieves can use card scanners to scan through your clothes and literally liquidate your bank. 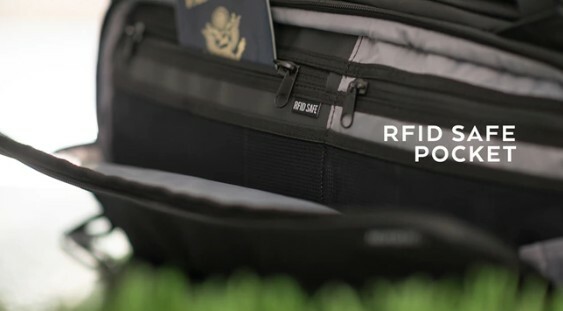 For this reason, it’s essential to have an RFID pocket. Fortunately, the travel bag has one embedded securely into its contents to ensure maximum protection for your credit cards and passports. 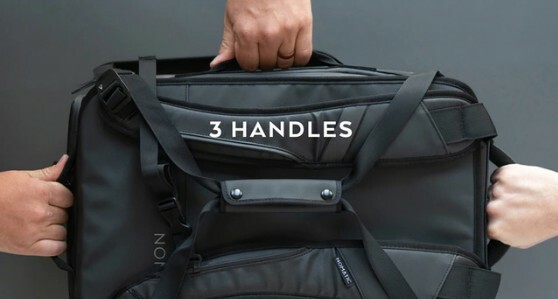 The 30L travel bag features three handles on all sides. This enables you to carry the backpack from most angles making it hassle-free no matter what the situation. The travel bag is integrated with an adjustable sternum strap that ensures the perfect fit for people of all shapes and sizes. It’s easy to scar valuables in a small 30L backpack but NOT in this 30L bag! 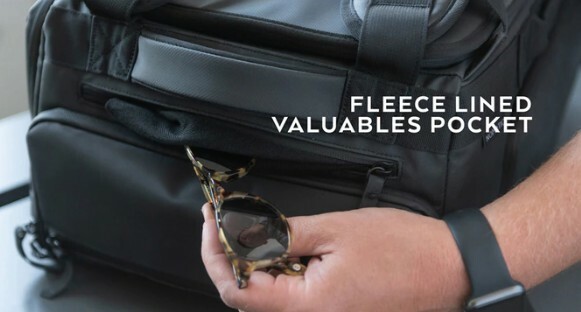 Because all of its pockets are lined with soft fleece. This ensures scratch-less storage of valuables like shades and other materials prone to scars. The roller bag handle pass is a nifty feature that gives you the ability to fit your bag on the handle of your roller bag. This feature is perfect if you’re planning to use this backpack as an add-on to your main bag. Does this bag have a warranty? Yes, every Nomatic backpack comes with a lifetime warranty. Additionally, if they can’t fix or repair a manufacturing defect, you will get a replacement, no questions asked. Yes, nomatic offers a 30 day no risk return policy. If you are not 100% satisfied with the quality of this product, just send it back, and they will refund you, no questions asked. Nomatic’s prices do not include VAT, GST or other country taxes. You will receive an email from your local customs authority regarding this (no way around this). Is the Nomatic 30L travel bag worth it? Absolutely! 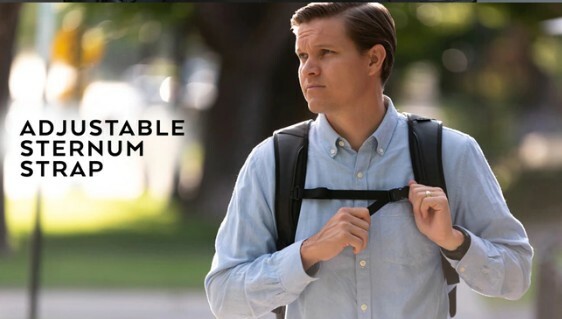 For starters, it’s one of the most functional backpacks from Nomatic, and they already have super useful bags! Next, it’s simply the most well-rounded backpack. 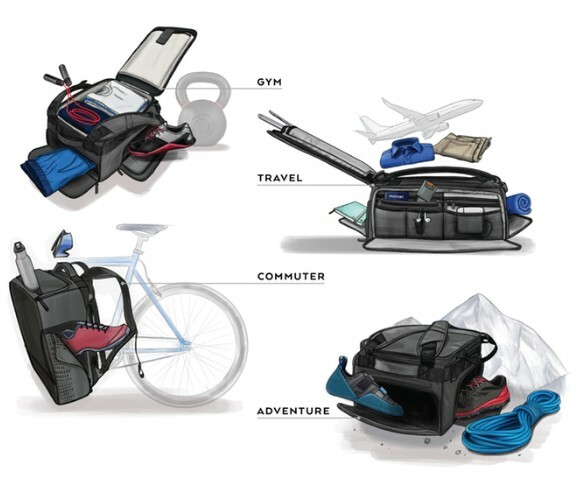 You can use it at the gym, the mountains, short trips and pretty much any place you need gear. So if you get it, there’s no way NOT to use it as it can be used anywhere! If you need the best go-to backpack for just about everything — this is the bag for you! There you have it! 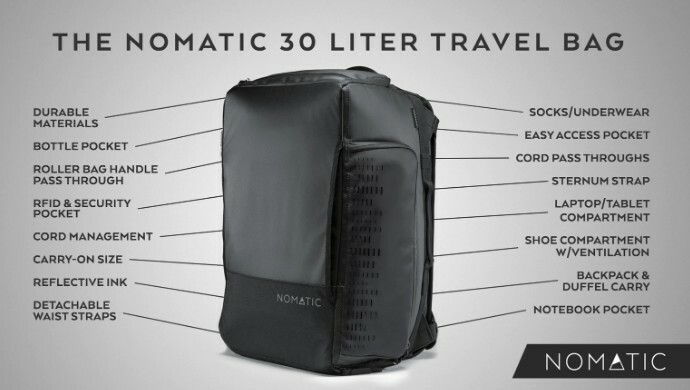 Everything you need to know about the new Nomatic 30L travel bag. If you have any questions, do not hesitate to leave a comment below.